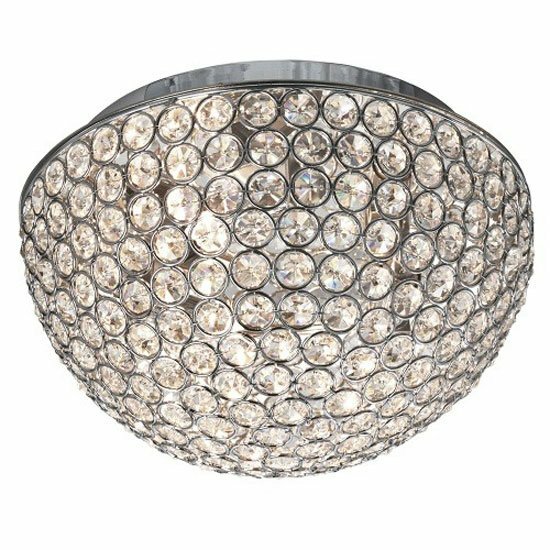 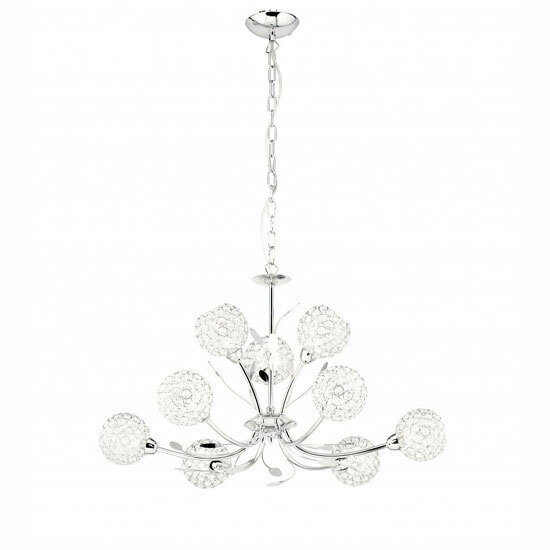 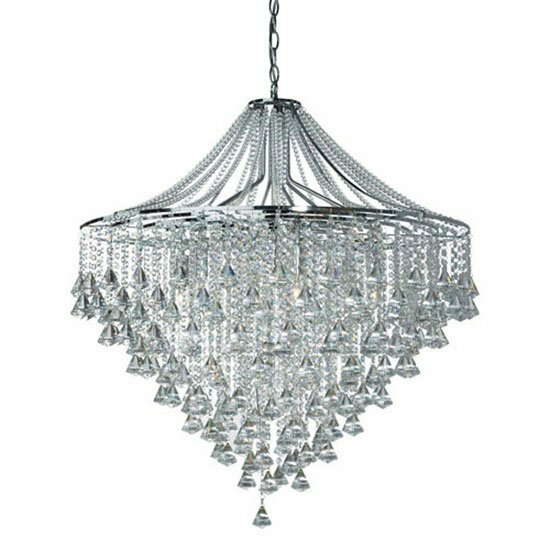 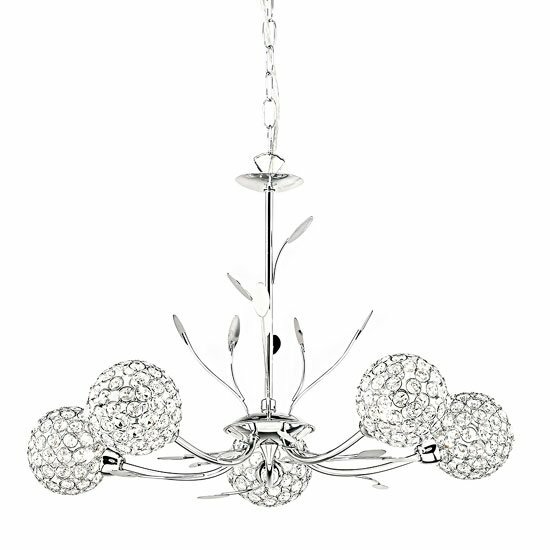 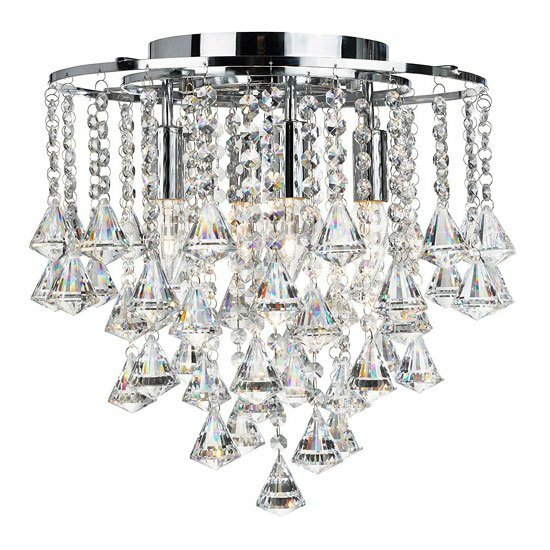 This Bellis II chrome 9 light fitting with clear glass shades and leaf decoration makes an imposing centrepiece for any bedroom, living room, dining room or kitchen ceiling. 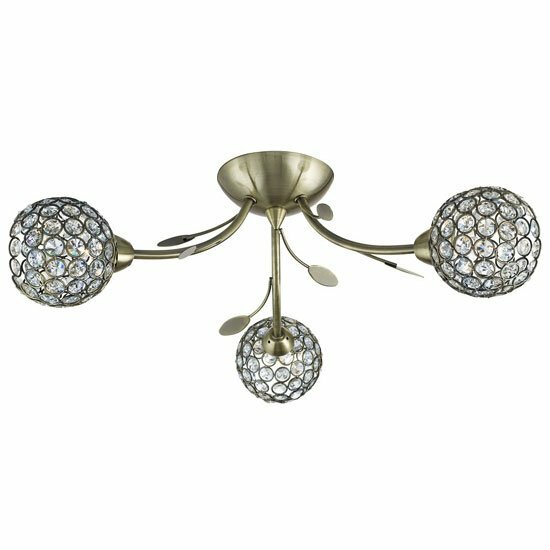 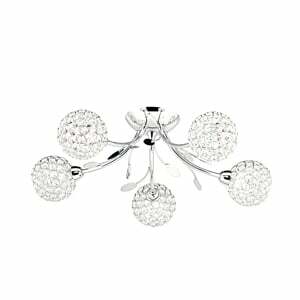 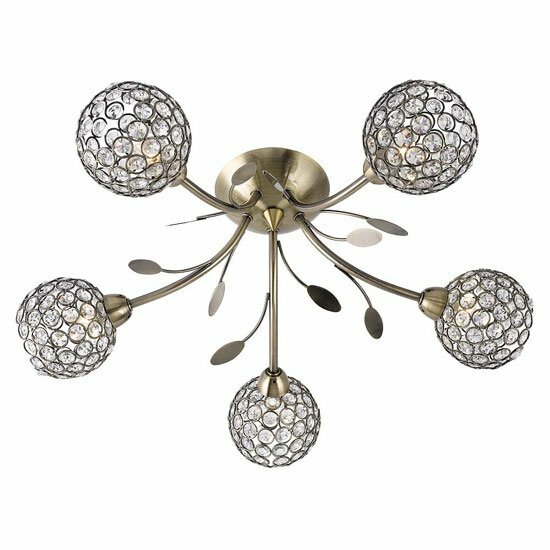 This ornate chrome finish fitting is beautifully crafted, with leaf decoration and nine clear glass and chrome flower head spheres, which refract the light around the room beautifully. 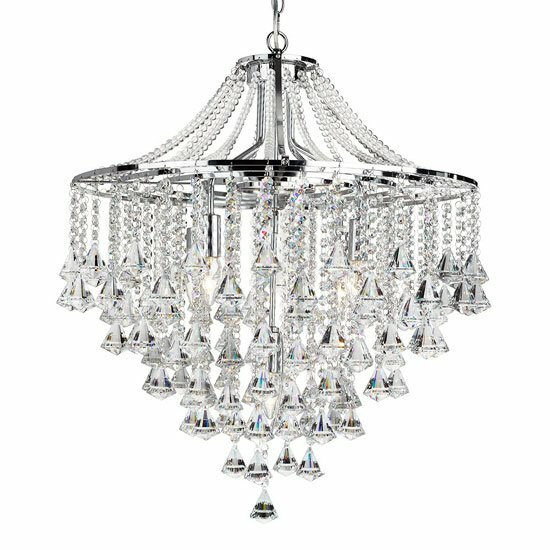 Arriving in March 2018 Key Features Class (1, 2 or 3):- 1 (Earthed) Lampholder:- G9 Lamp Type:- Led - G9 Lamp Type:- 2 Wattage:- 7 Operating Voltage:- 230V 50hz Lamp Included:- No Shade Shade Type:- Metal/glass Shade Finish:- Chrome Metal/clear Glass Shade Size:- (mm) H: 90 W: 105 Dimensions Total Height:- 390(mm) Total Height with Chain:- 915(mm) Width/Diameter: 680(mm).